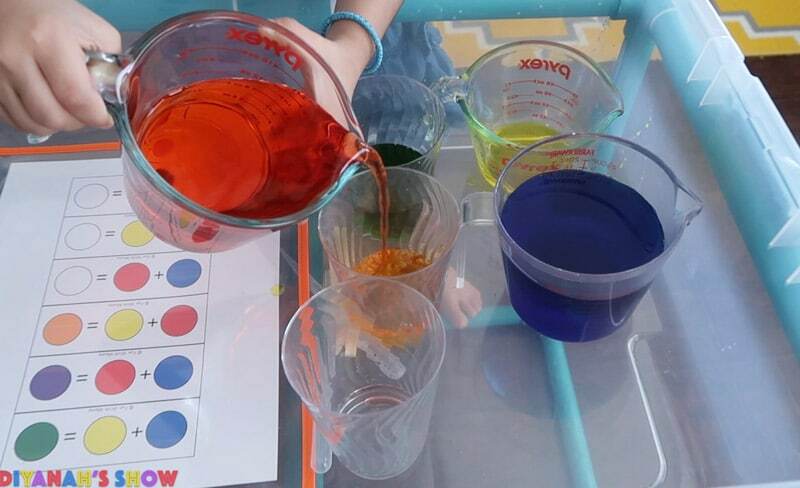 Learn more about color theory and color mixing with this fun water activity for kids. 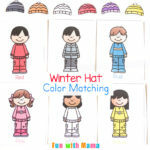 The printable color mixing cards can be used as a worksheet or can be laminated if you would like to use it with water. 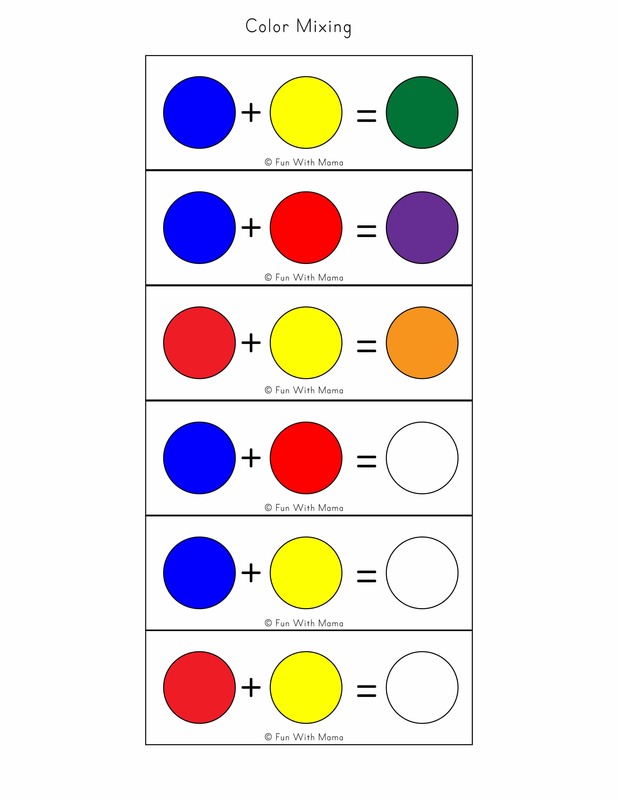 The worksheet can act as a free printable color chart too. 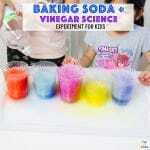 For more science experiments for kids check out these Best Science Fair Projects. 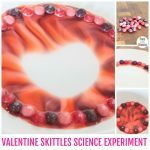 We previously did the walking water experiment for kids and while that was visually beautiful.. my daughter wanted something more hands on… and one that wouldn’t make her hands smell like vinegar like the baking soda and vinegar experiment. 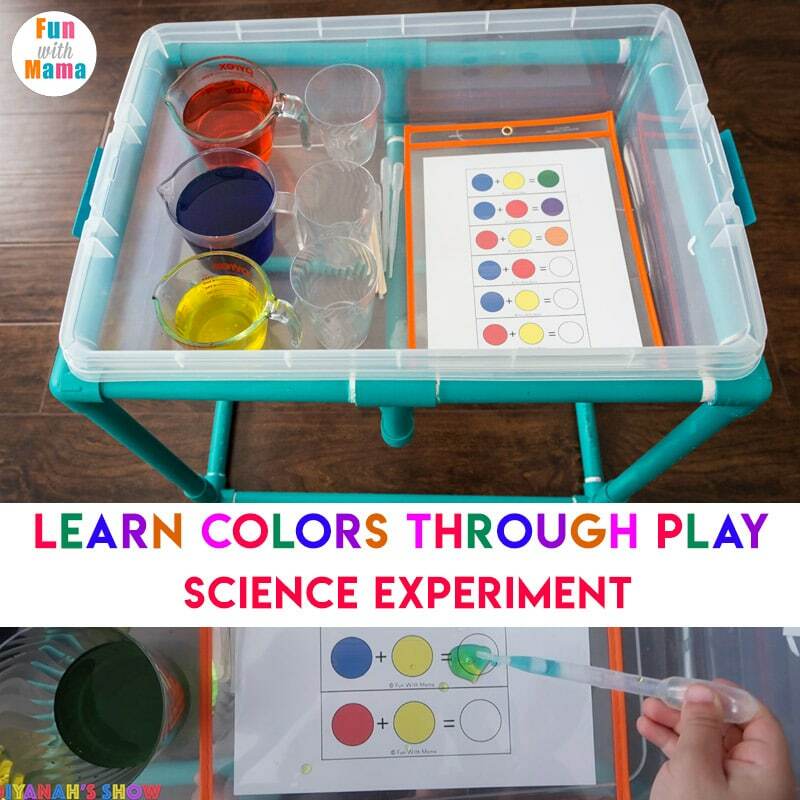 In this activity….children will learn about the primary colors first. These include red, yellow and blue. They will then create secondary colors: green, purple and orange. 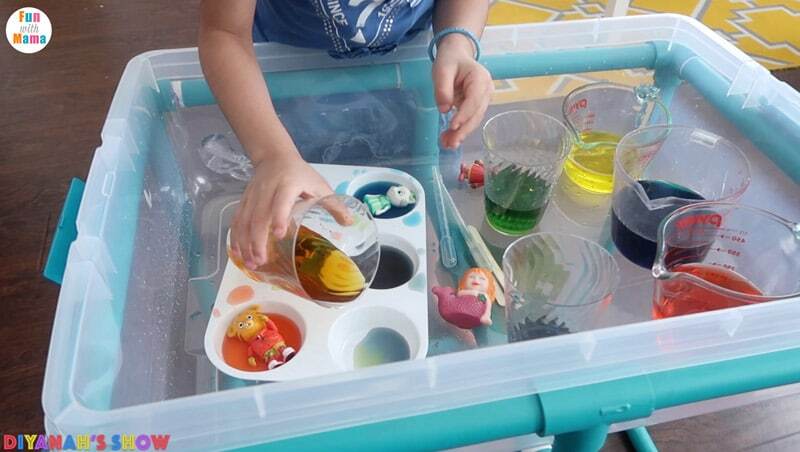 I set up the water activity using one of our DIY sensory tables. 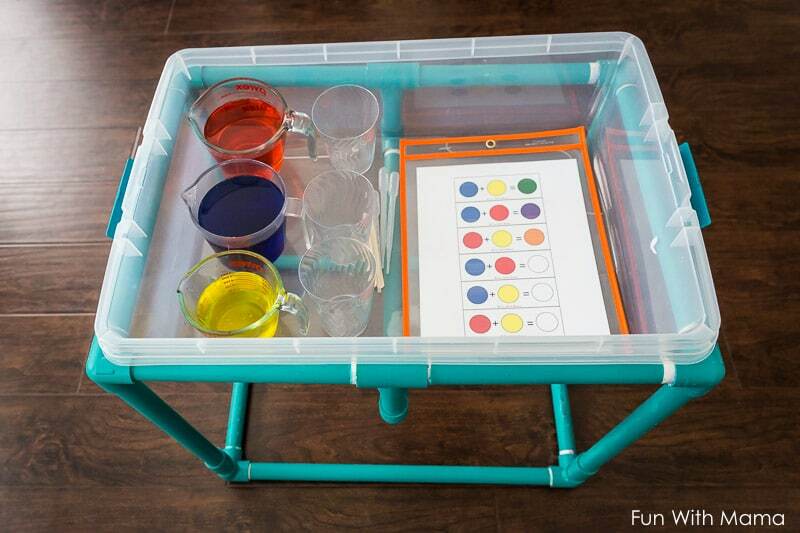 Check out more sensory table ideas for more fun activities. You can watch a video of my daughter doing this activity here. You can also show your children the video and have them do the activity alongside my daughter. Please note that affiliate links are used in this post. That means that if you purchase from one of the links below, this blog will receive a commission from the sale. I started reading some color theory books for a few days before we began the activity. We read Monsters Love Colors and Mouse Paint. I also recently got the Splatter book and think its awesome. Cupcake or paint cups if you would like to do the second activity. You do not need to use the table portion below the bin. You can place the bin on the floor.. or you can just use a table. The bin is not necessary. For the first activity I put the worksheet / color cards into a dry erase pocket. 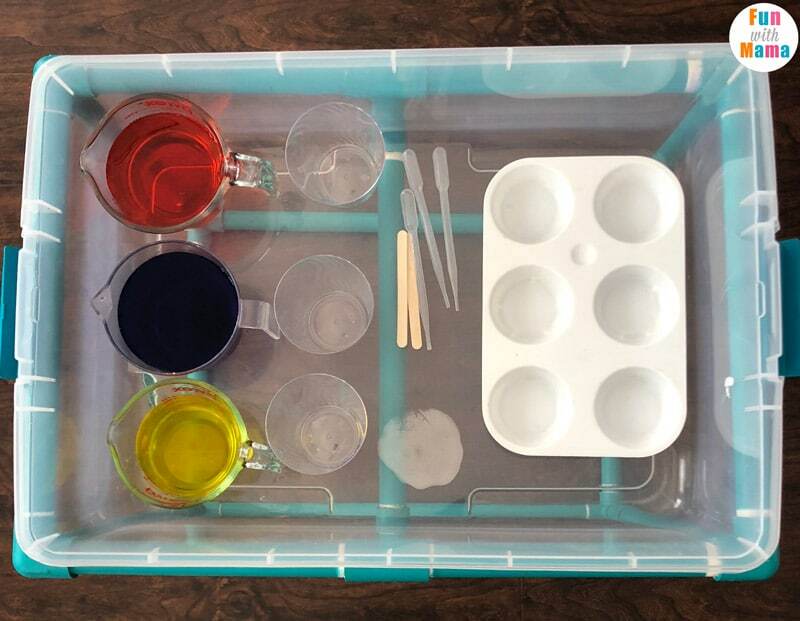 I then set up the primary colors by using water and food coloring. The three primary colors are red, blue and yellow. I then had my daughter use the color chart to create the secondary colors. 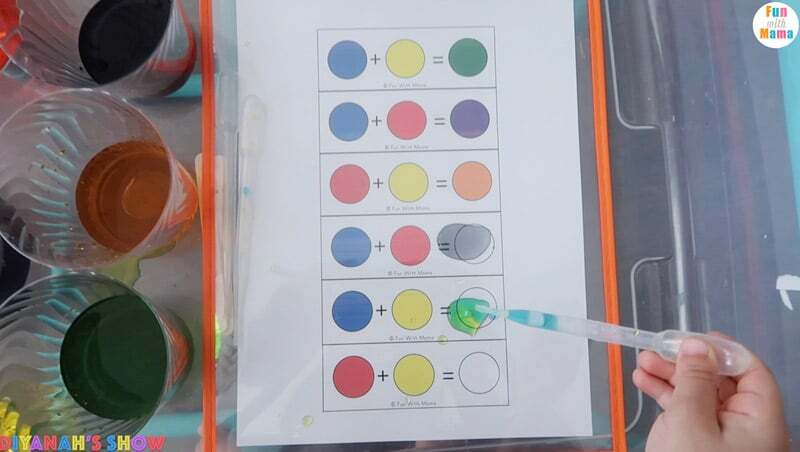 She then used the worksheet and pipette to mix the colors. She had to be careful so that she mixed equal parts of each color. Once she was done with that I had her add some of her toys into the activity so that she would keep practicing her colors. I truly believe that at this age, children need to be taught playfully. They need to have fun and look at learning as a form of play time. This color mixing activity was a lot of fun. When she was done she dumped all the water into the tub, removed all the extra cups and just used her toy figurines in with the water. She used Peppa Pig Figurines and Daniel Tiger’s Neighborhood friends. 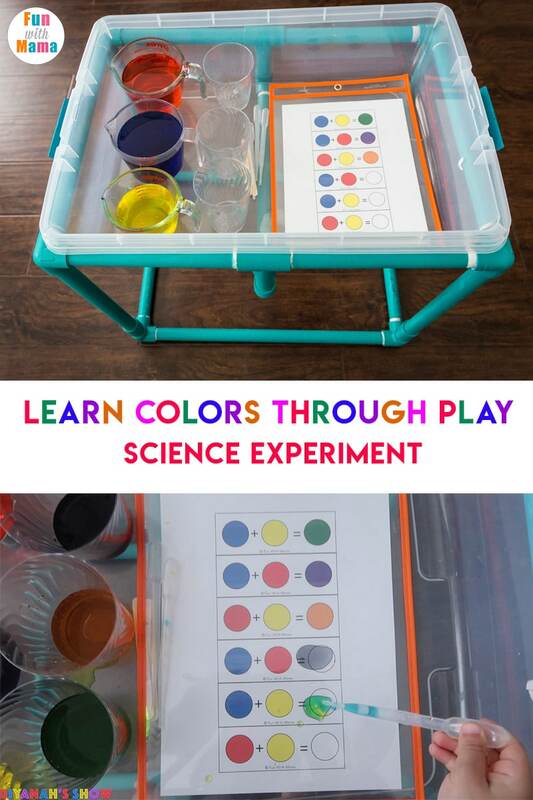 More fun easy science experiments for kids.